Most popular speed boat to Vainguinim beach. 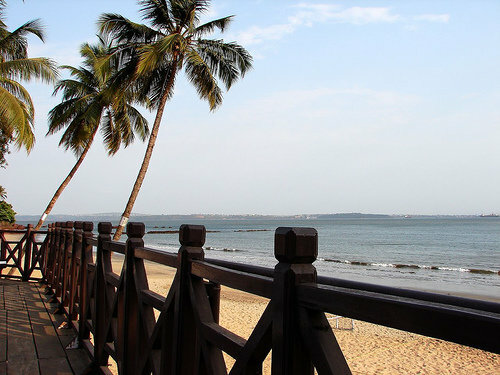 It is situated near Dona Paula beach in the south Goa. It’s a quiet and peaceful ambience. You can go for swimming to relax yourself. The beach has an enormous stretch of seashore and is suitable for those looking for a peaceful place for some quiet moments. Vainguinim beach is known for its sparkling crystal water. One can even go strolling around the beach and experience some great moments. A large number of tourists enjoy swimming at the beach which also makes it a truly relaxing place to enjoy. This beach is also well known for its cuisines. Best destination for honeymoon holidaying in Goa.